On the evening of Monday, June 6 the Associated Press reported that Hilary Clinton is the presumptive democratic nominee for President, after an AP count found that Clinton reportedly secured the number of delegates (2,383; including superdelegates) needed to become the presumptive nominee. Still, there is a slight chance that Bernie Sanders could still become the democratic nominee come July's Democratic National Convention. Here's how. Since the count that found that Clinton secured the number of delegates needed to become the presumptive nominee included superdelegates, her nomination is not confirmed until the superdelegates vote at the July 25 convention. 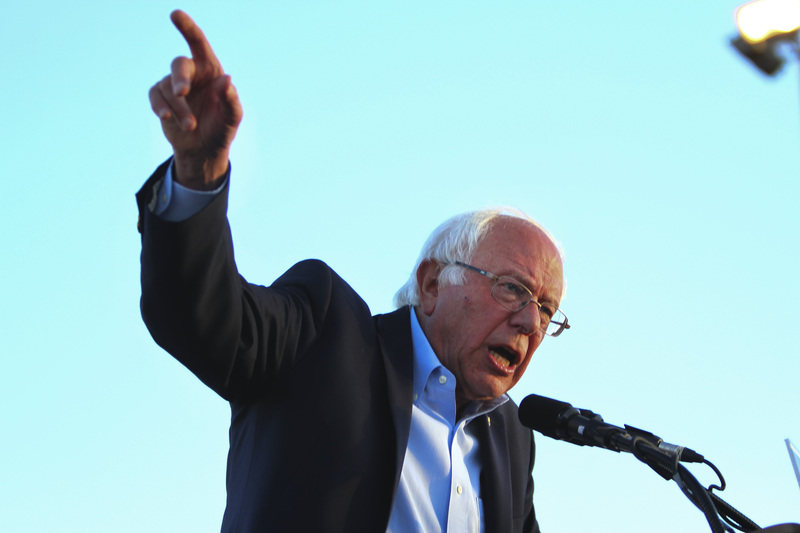 It is still possible that Sanders could convince superdelegates to vote for him instead, and the Senator from Vermont has made it clear that he plans to take his campaign to the convention. On top of that, there are still more delegates up for grabs in the coming primaries, including Tuesday's, which include both California and New Jersey, among others. According to CNN's projections, Clinton currently has 814 more delegates than Sanders — but this includes superdelegates. If you look only at pledged delegates, Clinton only has 291 more than Sanders. (It should be noted that CNN is not yet reporting Clinton at 2,383 delegates, but rather at 2,382) So, if Sanders was able to convince superdelegates to vote for him at the convention, it's possible that he could win as there are approximately 712 superdelegates in total.